Interphone Link is the ideal intercom for bike to bike communication, up to 300 meters away. Suitable for those who love to move around the city or outside staying in touch with the other rider, sharing the emotions of the experince or the useful information on the way. 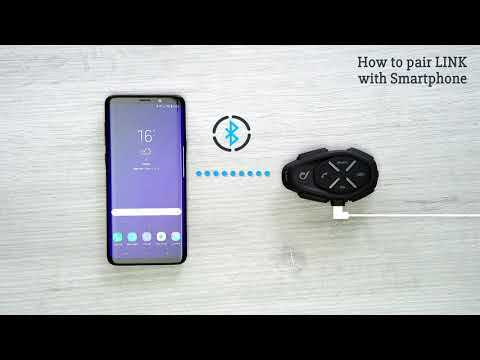 Link is compatible with all types of helmet and allows to receive calls, follow the directions of the Bluetooth connection navigator to safely reach any destination. With an autonomy of over 15 hours, you will always count on its energy. 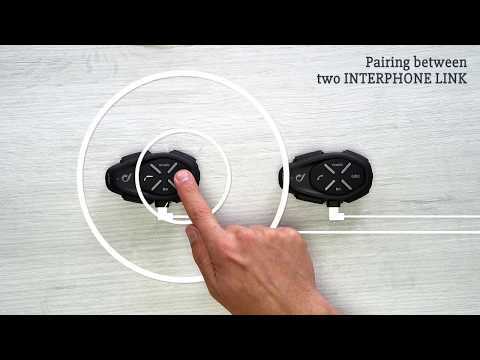 Featuring Bluetooth connectivity for music and GPS navigation and FM radio, Interphone Link is easy-to-use but complete of all the features, perfect in any weather condition. Available in black with buttons and details in gray. Anycom: allow communicatin with all Bluetooth® Intercom devices by other brand, in full duplex mode. Automatic reconnection: if the intercom connection is lost, it will be automatically reactivated as soon as range is restored.